An Indian spice mix is must to make some of the world famous Tandoori dishes which is nothing but Tandoori Masala. We can’t even imagine Tandoori Chicken without it. 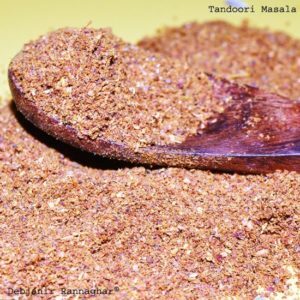 Though Tandoori Masala is a popular spice mix and available almost in every grocery stores but I love to prepare it at home. I do make Tandoori Masala in medium portions and store it in airtight container so that I can use it as and when required. I use Tandoori Masala while making Tandoori Chicken, Chicken Tikka, Paneer Tikka or Tandoori Dum Aloo. 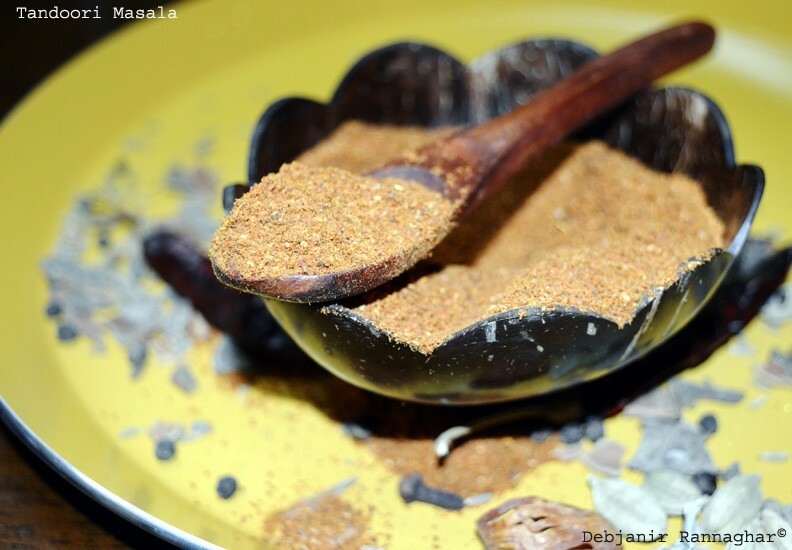 Making Tandoori Masala is really easy given it requires some basic spices. Choice of spices for making this varies person to person. I use Cumin Seed, Coriander Seed,Fenugreek Seed, Ginger Powder, Garlic Powder, Mace, Cinnamon Stick, Cloves, Black Cardamom, Green Cardamom, Bay leaf, Black Peppercorn, Turmeric Powder, Kashmiri Red Chili Powder and Gram Flour to make Tandoori Masala. Given I store it for sometimes, I don’t add salt in my spice mix. Last but not the least, adding food colouring is strict no no for me while making my Tandoori Masala and Kashmiri Red Chili Powder plays the role of colouring agent in my version of Tandoori Masala. I am sharing the proportion of spices as per my taste and this can be adjusted accordingly. I mostly make two types of Tandoori Masala, one with added Garlic Powder and another without adding it given sometimes I cook without Onion and Garlic and for that a Masala or spice mix required to be prepared without added garlic or Onion. This is the reason why I prefer to make spice mixes at home given that gives me flexibility to play with the proportion of spices and sometimes intensional skipping of some spices. Dry roast Gram Flour in a pan for 2-3 minutes in medium flame till the flour emits nutty aroma. Switch the flame off and let the roasted gram flour cooled completely. Dry Roast Cumin Seed, Coriander Seed, Fenugreek Seed, Ginger Powder, Garlic Powder, Mace, Cinnamon Stick, Cloves, Black Cardamom, Green Cardamom, Bay leaf, Black Peppercorn, Turmeric Powder and Kashmiri Red Chili Powder all together in a pan for 3-4 minutes in medium flame and switch the flame off. Let the spices cooled completely and this may take around 10-15 minutes. Grind all the roasted spices along with roasted gram flour in dry jar of a grinder to make a smooth Powder. Take the Tandoori Masala Powder out of the jar and store in a sterilized airtight jar for future use. Hope you like this post on Tandoori Masala. It would be really great if you could share this with your Facebook fans or Twitter followers or Google+ circles or Pin it to keep me motivated. You just need to click on the “like,” “share,” “tweet,” “pin it” or Google+ buttons below the post. Thanks a ton! 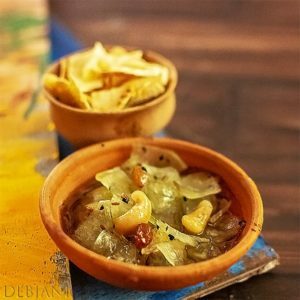 Visit Debjani’s Spice-zone for more such recipes.